We aren’t exactly truck people here at Infinite Garage unless of course it’s a 57 Chevy truck or maybe a classic Ford. However by the 1990s trucks were pretty damn boring. 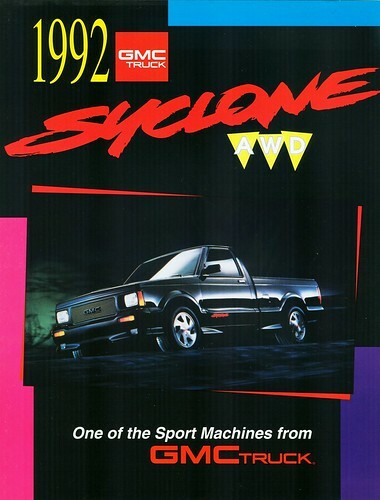 Except for one, the GMC Syclone. A special edition hotted up truck based on the GMC Sonoma. With the soul of a muscle car the Syclone was limited production, high performance, and that makes it a future classic. So let’s hit the jump and take a look at what makes the GMC Syclone a Future Classic. The GMC Syclone was produced in 1991 as a 1992 model. The GMC Sonoma was a light weight platform just ripe with performance potential. So GM stuck in a turbocharged 4.3L V6 pumping out 280hp and 350 lb-ft of torque. Coupled with the Borg Warner all wheel drive system and the Syclone could rocket to 60 in just 4.3 seconds with a quarter mile time of 13.6 seconds @96mph. That was unheard of for a truck at the time and those numbers were on par with the C4 Corvette and Ferraris of the day. An impressive feat for a pick up truck, but very impressive for the era. Production numbers for the GMC Syclone were 2995 in 1991 and 3 in 1992. That is pretty low by modern standards. Today most special editions are in the thousands over several years so having less then 3000 produced total makes it hard to find. Still it makes our future classic list because they are still out there and they can still be had at a reasonable price. For example average mid milage examples go for around $12,000 while prime low milage examples can go for as much as $20,000. Now those are hardly dirt cheap prices but they are certainly entry level collector car prices. Especially for a driver. In a time when your average GMC Sonomo would go for a maybe a thousand or two this shows that there is a market for the GMC Syclone. The question of course become will they be sought after in the future, is there more value to be gained? Well that of course depends on a few things. The collector car market is softening compared to what it was a few years ago. What was once six figure muscle cars are now back down to earth. 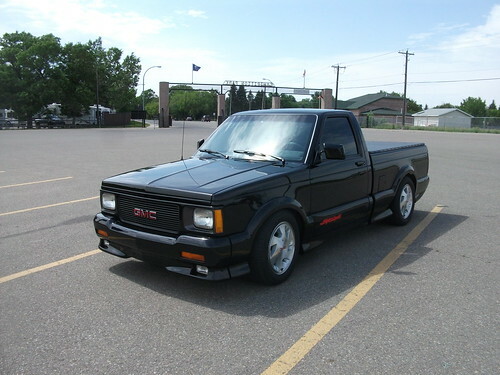 So the GMC Syclone may not be a lock for your retirement investment but that doesn’t mean it isn’t a classic. Unless things get real rocky with the economy I can not see the Syclone losing value. While it may not gain much either I think it’s a great way to get a rare, great performing future classic without breaking the bank. Of course you can’t put a number on the fun you could have with an AWD, light weight turbocharged rocket ship of a pick up truck.